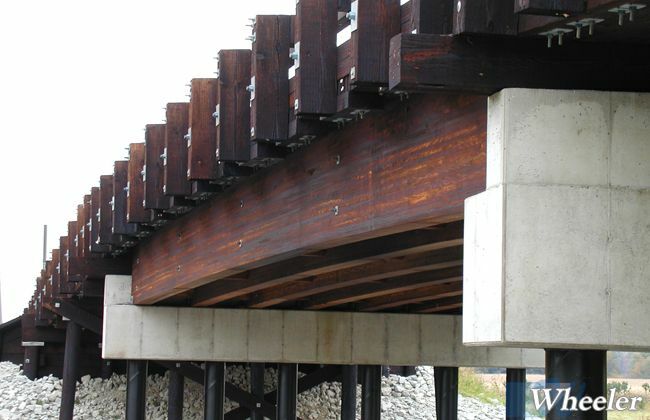 Similar to many conventional designs, Wheeler places transverse timber panels over multiple beams. 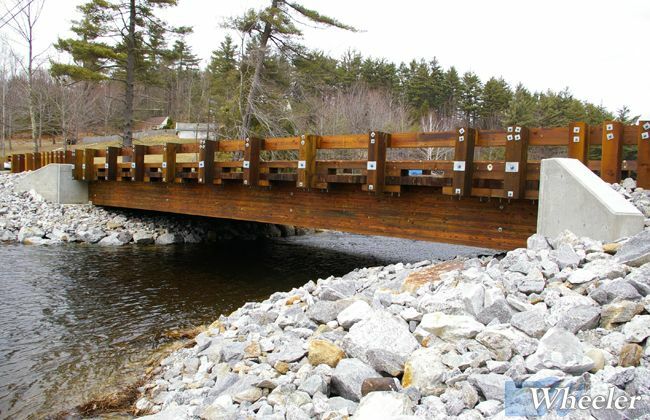 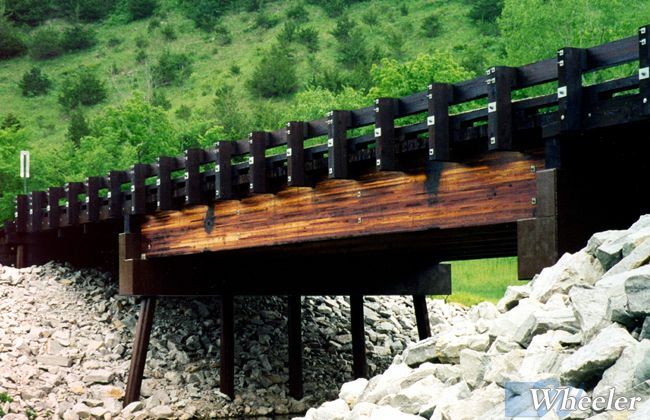 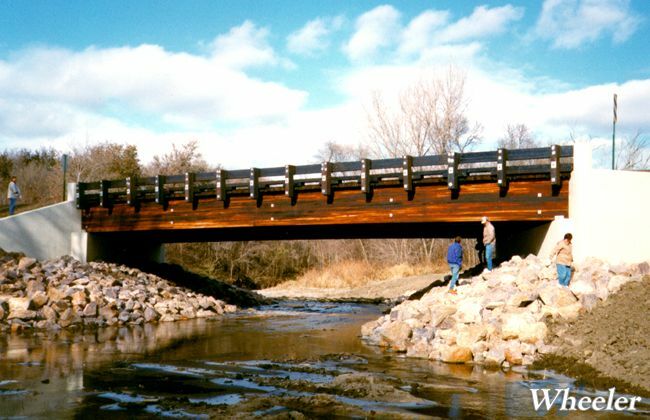 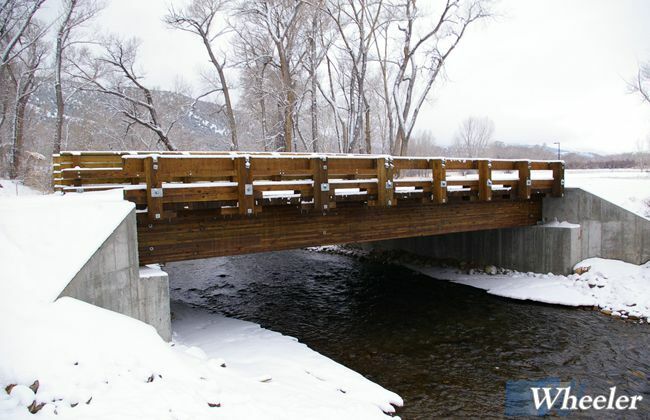 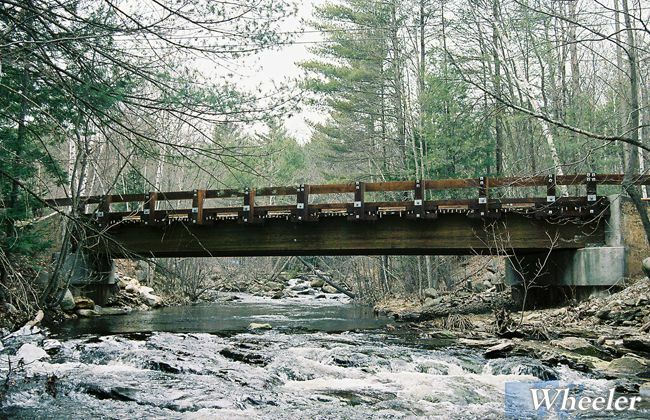 GluLam beams provide a timber bridge capable of spanning up to 80 feet. 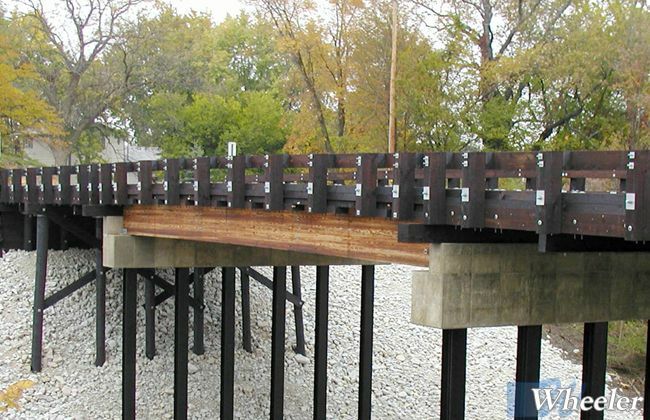 Steel beams can be used to reduce the depth of section or for longer spans. 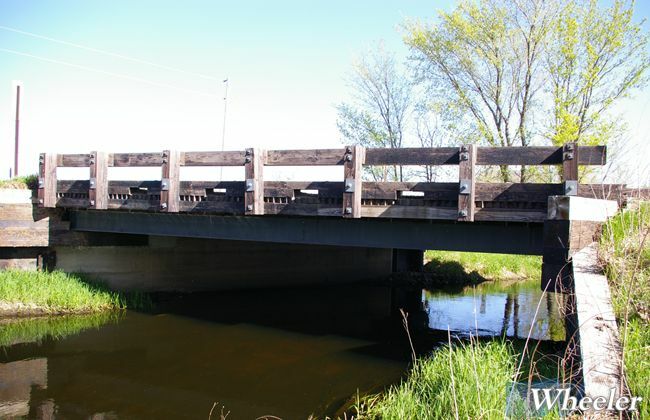 Single or multiple spans can be combined with Wheeler’s Panel-Lam to complete any crossing. 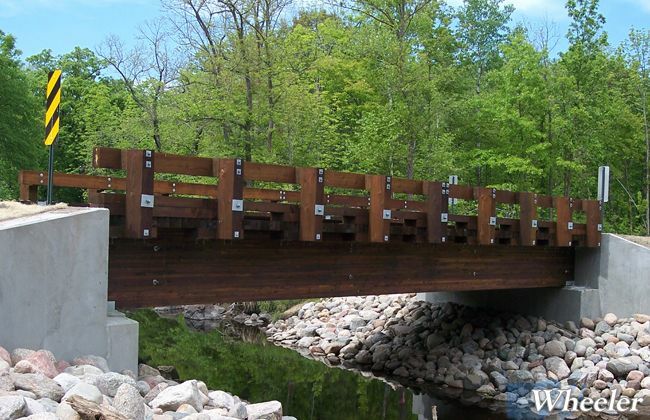 All components are detailed to maximize their function. 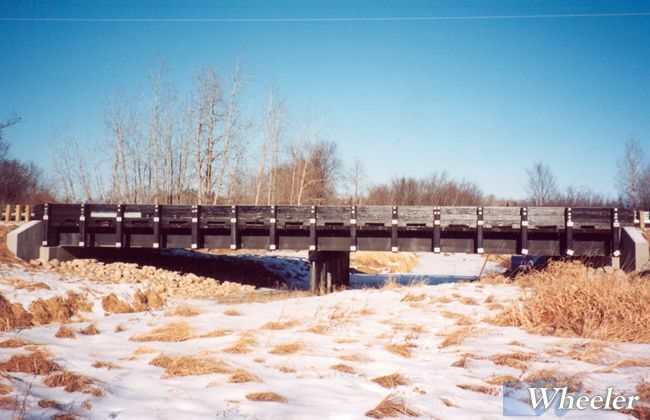 The bridge kit assembles easily with parts clearly marked. 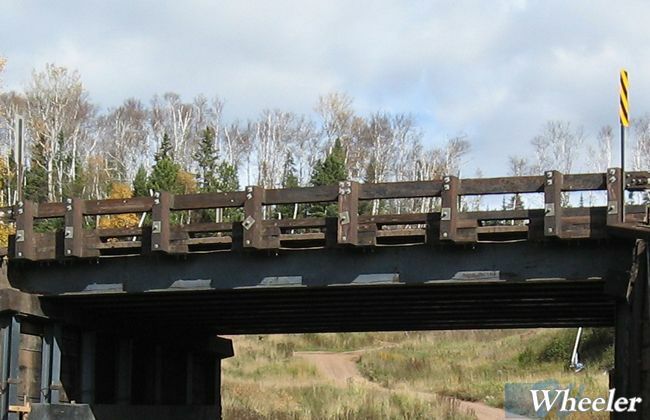 Crash-tested railings and asphalt wear surface are standard. 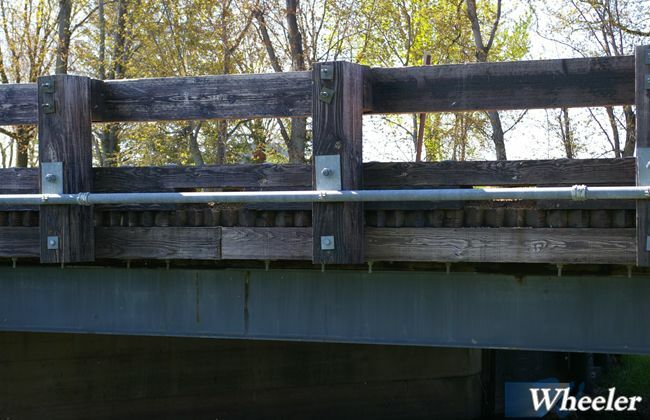 Wheeler deck panels are also a great way to repair existing bridges. 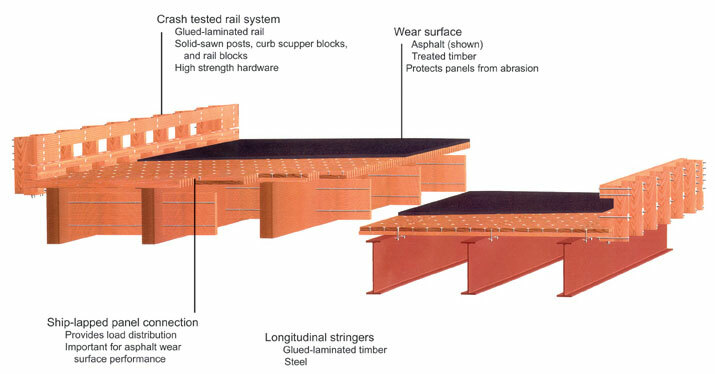 Panels are detailed specific to the application. 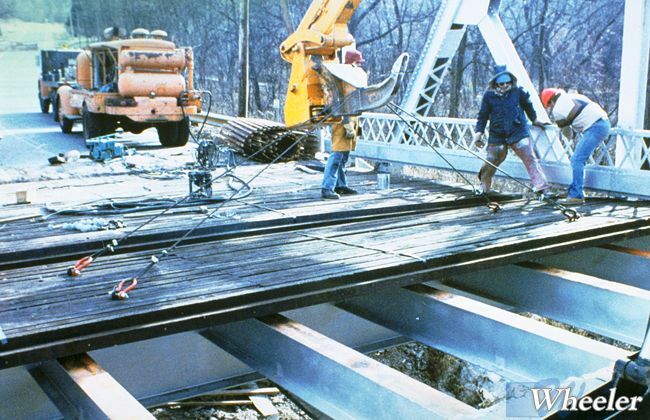 Installation is fast in any season. 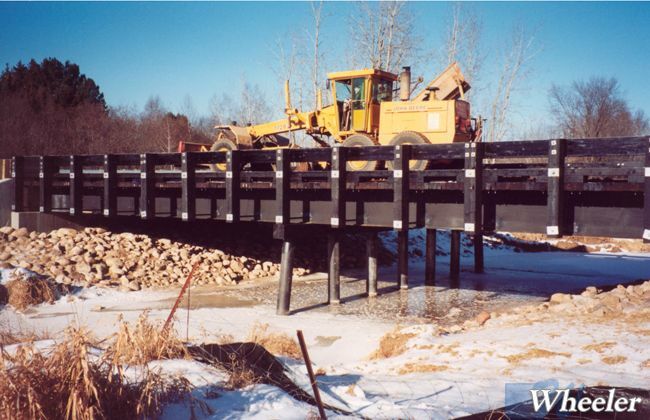 An asphalt wear surface finishes the job.